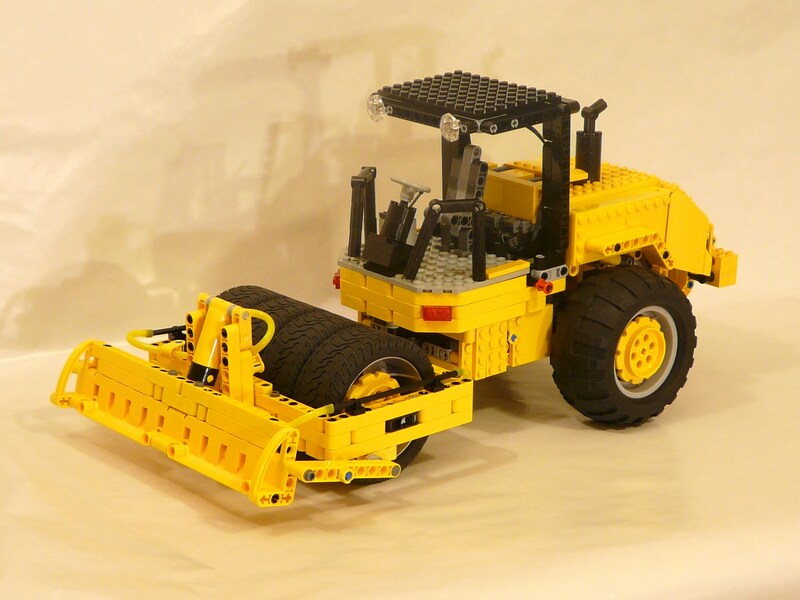 Coney (or Contech7) builds some really nice LEGO models from building machinery, among other types of models also. One of my favourites is this Roller or Soil Compactor Caterpillar, because of its originality and the perfection on how it mimics the real equipment. 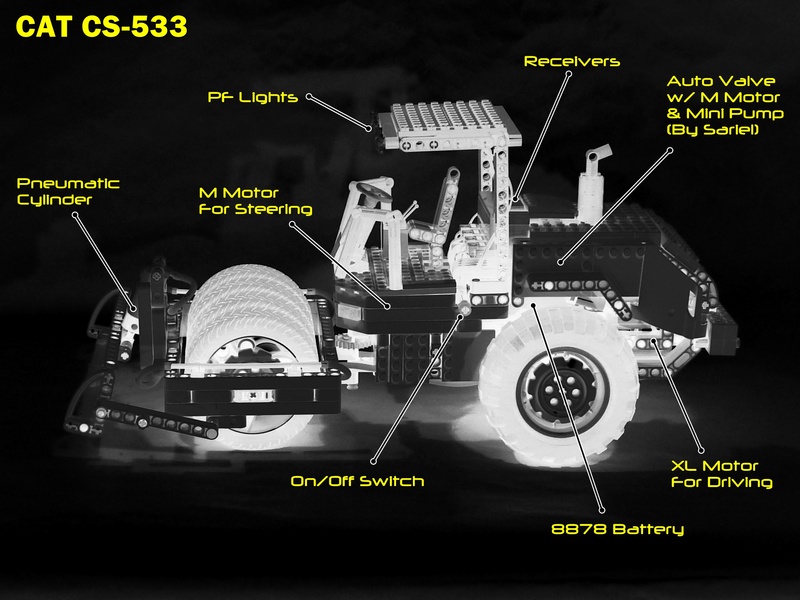 It is a remote controlled model and uses one XL-motor for driving and one M-motor for steering. It also features a pneumatic circuit driven by an auto-valve with pump, to control the front blade. An excellent example on how the pneumatic cylinders could be integrated into modern looking models. The wheels and tires, from the mythic 8448, applied on the roller were also a great choice for the intended effect and scale. You may find some photos from this model at Coney's Brickshelf folder, but I won't resist to show you here, two more. 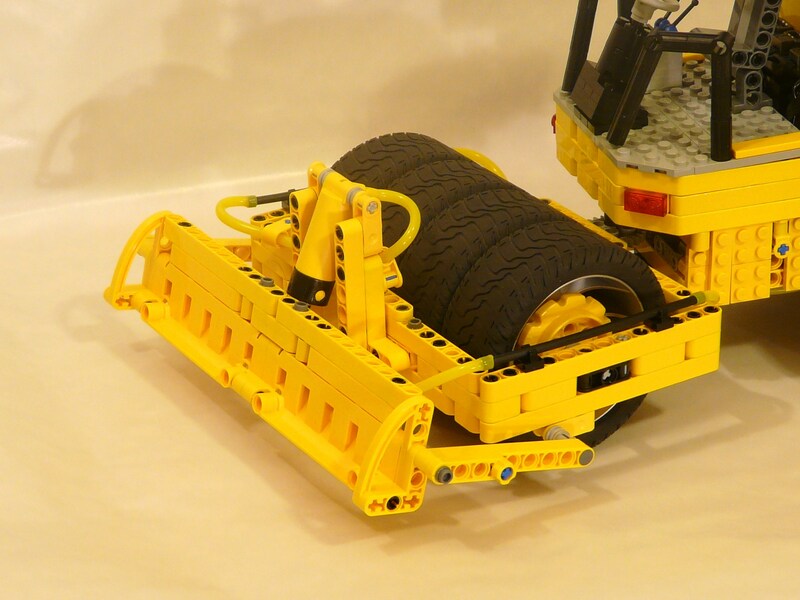 IMHO this is also a very good example on how the LEGO Technic designers could diversify and develop different types of machinery (despite of using a different building style of course), also giving us some more models with the very useful PF XL-motor, used in just a few sets so far. The trouble with copyrighted music is YouTube will not play the video in several countries to comply with local legislation. If you want people to see your video it's a good idea to try and avoid it.